NSCLC is classified according to the TNM system suggested by the American Joint Committee on Cancer (AJCC). 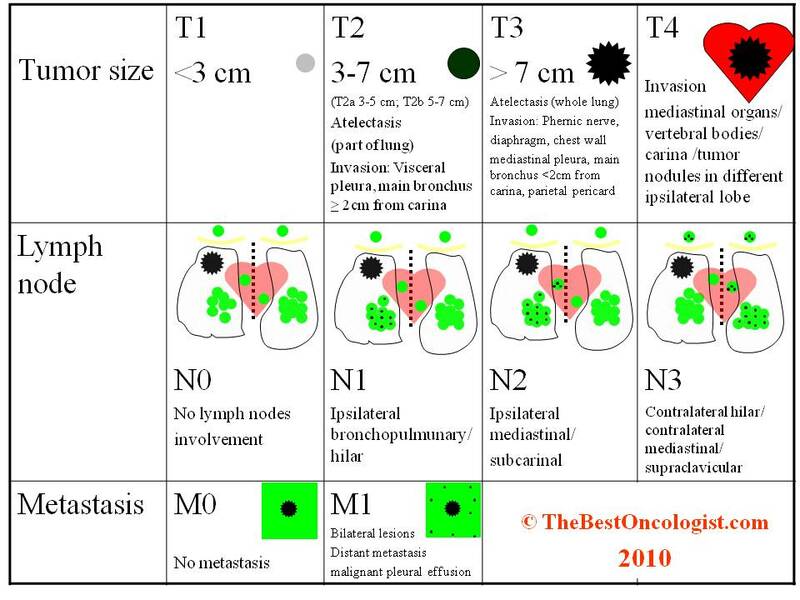 The staging system takes into account the primary tumor characteristics (T1-T4, see table below), lymph nodes involvement (N0-N3, see table below), and the presence (M1) or absence (M0) of distant metastasis. The combination of the different characteristics of the tumor (the specific T, N, and M) gives the stage of the disease in each patient. Presence of distant metastasis denotes stage IV disease. The TNM combinations indicating Stages I-III diseases are described in the table below. 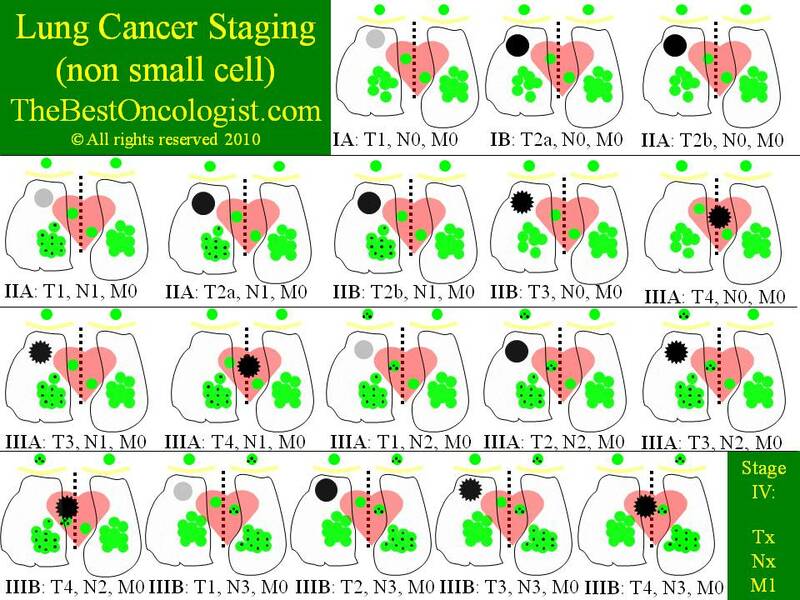 Small cell lung cancer staging defines “limited” (limited to one hemi-thorax) versus “extensive” disease. Most patients present with extensive disease (60-70%), and about 30-40% with limited disease.